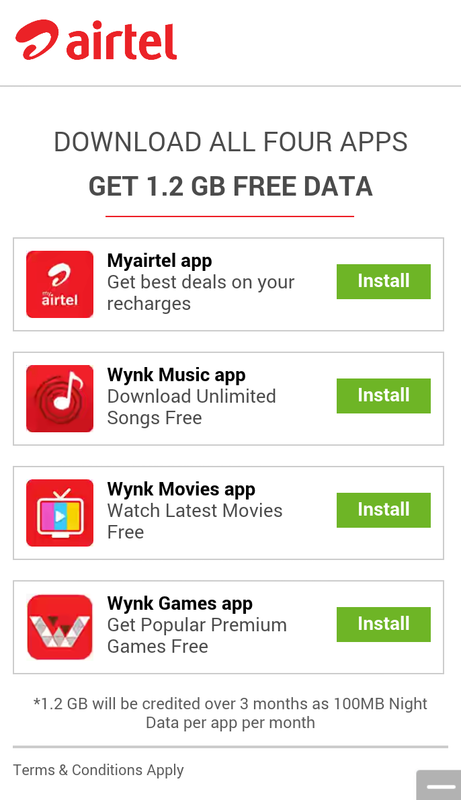 Here is Airtel free internet Offer. You will get 1.2GB internet for installing 4 apps but bad condition is that this internet is night pack internet from 12am to 6am only. 1. Open airtel Offer Page by Clicking here. **The Offer will be delivered in 100 MB installments each valid for 7 days from the date of credit of such installment.